A flooded basement is a problem homeowners may need to deal with if their basements are not properly protected and waterproofed. Regardless of whether it is just one location that is damp and wet, or a foot or two of standing water, it is imperative you follow the proper steps to resolve the flooding and get your basement cleaned up as soon as possible. Discovering your basement has flooded is cause for alarm, and it is easy to panic. You may have photo albums, holiday decorations, collectibles, and other keepsakes you store away in your basement. It is better to take a deep breath and realize these items may still be salvageable after you deal with the water. Your primary concern should be the well-being of your home and your family. Depending on the amount of water in the basement, the foundation could have been damaged. It may be in your best interests to make arrangements to stay elsewhere until the problem is fully resolved. If you can access the electrical box for the home without having to enter the basement, you want to shut off every breaker in the home. Depending on the age of the home, the breaker box could be in your laundry room, utility room, garage, outside next to your electric meter, or in your basement. If the breaker box is in the basement, you will want to get professional assistance. You can call our basement waterproofing and repair company, your electrician, or your electric company. There is specific protective clothing that must be worn, as the water could already be electrified if electrical outlets are under water. If the cause of the flooding is from leaking, burst, or broken plumbing pipes, find the water main and shut off the water. The water main should be located in the area where the water comes into the home from the city water system, or your well if you have well water. 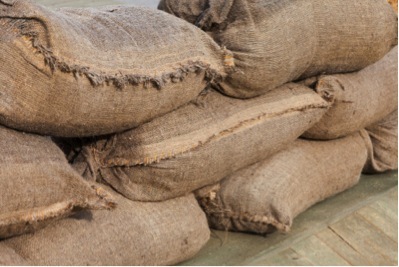 If the cause is from excessive rainfall, you may want to get sandbags and place these around the parameter of the home to stop additional flooding in the basement. For excessive snowfalls, shovel and remove the snow from around the home. 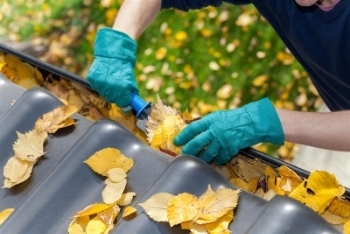 If you notice the cause is from rainwater or melting snow running down near the home and not down your gutters and downspouts, inspect these right away. 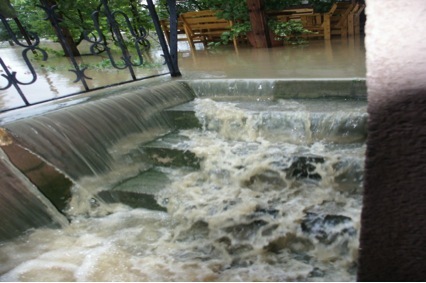 Cleaning them out and getting the water flowing away from the home will prevent further water damage to the basement. If the water is coming in around windows, you can also use sandbags to block off the windows as a temporary measure. If the windows are partially below ground, take a piece of wood to make a temporary cover and draw water away from the windows. Contact your insurance agent right away and initiate an insurance claim if you have flood coverage. Not all policies will cover basement flooding. However, the contents of the basement might still be covered. If the damages are covered, then you can rest easier knowing you can get professional help cleaning up the mess and fixing your basement. Preparedness Tip: Review your insurance policy annually with your agent to ensure your home is protected for all types of damages, including basement flooding. Before any repair work can begin, you need to get rid of all of the excess water. You will want to get a pump to pump out as much water as possible. You can contact our basement repair company for assistance with pumping the water out. Once the water has been pumped out of the basement, it will not be fully dry. There could still be areas of water that need to be cleaned up. You will want to mop the floor and continue soaking up as much water as possible. Clean Up Tip: Remember to take pictures as you clean up and dry out the basement. You may need these for your insurance claim later. If you have a partially or fully finished basement with carpeting or another flooring type, it will have to be taken out if the entire basement flooded and was under water for an extended period of time. Initially, you can use a shop-vac to soak up excess water out of the carpeting. For other flooring types, use a mop to soak up excess water. The reason you need to remove carpeting and flooring is that moisture can remain trapped underneath and will result in mold growth. Getting rid of mold can be a major problem, so it is just easier to rip out the flooring and start over. Any drywall that was damaged should also be removed and taken out. You may be able to salvage the upper parts of the wall if they did not get wet or damp. If the drywall absorbed the water all the way up the wall, then it is better to remove the entire section and start over. Otherwise, you could have mold growth behind the drywall where you cannot see it, and it will spread. After you have removed as much water as possible, you will need to dry out everything in the basement. This involves taking everything out of the basement and moving it to a location where it can sit and dry. A good place to move items is to your garage so they are kept secure overnight. During the day, you can set items outside in the sunlight to help speed drying times. It can take anywhere from 48 hours to a week for things to be fully dry. This is also a good time to go through your items and make a list of anything that is damaged. DO NOT discard damaged items until after you have spoken with your insurance company. They may require proof the item is damaged. In addition, you will want to set up fans in the basement to aid in drying out the basement. You may also use dehumidifiers to help speed drying times. The basement will need to be fully dry before any repairs can begin. 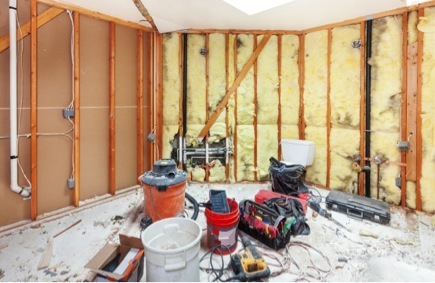 Repair processes often involve fixing the cause of the flooded basement. If it was caused by a plumbing problem, the pipes will need to be replaced. If the water came from outside the home and through the foundation, then you will want to have your basement waterproofed before making additional repairs. For instance, if you have to replace the flooring and drywall, it makes sense to get waterproofing done first since it is easier to access the concrete foundation. The types of waterproofing you need will depend on why the basement flooded. 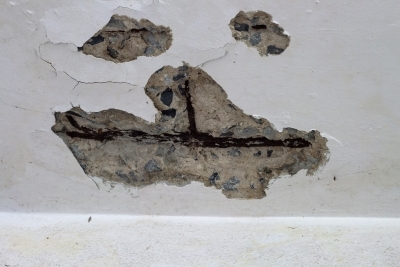 In addition, you will want to get your foundation inspected to verify no repairs are needed. The water could have weakened foundation walls, and these will need to be repaired to ensure your home is supported safely and correctly. Furthermore, it does not hurt to take extra precautions and have your basement fully waterproofed for all types of potential problems. 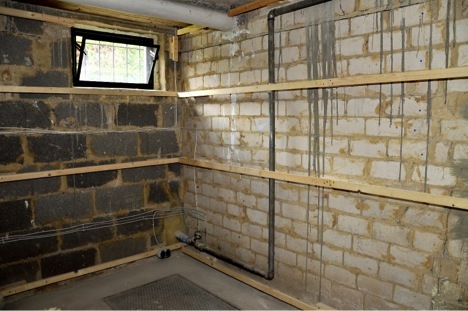 We can discuss what waterproofing solutions would be best suited for your basement to help prevent future flooding. If these steps seem too overwhelming to do on your own, remember, you can call us for help! We are experts when it comes to helping homeowners resolve basement flooding, wet basements, basement waterproofing, foundation repair, and other solutions to help keep your basement dry year round. For more information about our services or to get help cleaning up a flooded basement in Baltimore and the surrounding areas, please feel free to call Budget Waterproofing, Inc. at (410) 609-1240 today!